Our Pensacola Sailing School is located in the heart of downtown Pensacola, at Palafox Pier Marina. 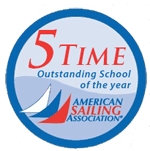 American Sailing Association certification classes include Basic KeelBoat, Basic Coastal Cruising, Bareboat Chartering, Coastal Navigation, and Advance Coastal Cruising. Set your sails in the wide-open Pensacola Bay, Escambia Bay, and Santa Rosa Sound. Explore these beautiful waters by joining the “Buccaneer Sailing Club” where members sail as often as they like on the 22 – 25 foot boats in the Pensacola fleet. Rentals are available for qualified sailors. For a true sailing adventure, experience the pure joy of sailing aboard our Beneteau 393; day sailing and overnight captained trips are available. Other offerings include Sunset Sails, History/ Ecology Tours, and “Let’s Go Sailing” a two-hour introductory lesson. We were recently featured in an article, Lanier Sailing Academy Will Teach you How to Sail Away. Like flying, sailing is a universal human dream of being able to float away into serenity. The Lanier Sailing Academy in Pensacola, FL helps make this dream come true for hundreds of people. Capt. Kathy Struchen feels that “One of the best parts of sailing is that it offers so many different experiences. One day can bring gentle breezes, dolphins off the bow, and a peaceful time on the water. Lanier Sailing Academy, Pensacola’s premiere sailing school is close and convenient to anywhere in the southeast. By car we are located only 5½ hours from Atlanta, and 3 hours from New Orleans. Pensacola Regional Airport is only 5 miles away. For more information call (850) 432-3199. View our Club's newsletter with sailing activities and tips.